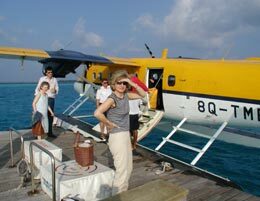 After a comfortable but long trip from the UK via Qatar Air we arrive in Male, Maldives from where we transfer to Soneva Fushi via sea plane. 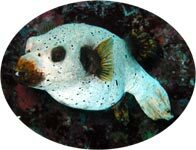 As we touch down in the turquoise lagoon the staff take away our shoes ("No shoes no news") and we don't see them for a whole week. 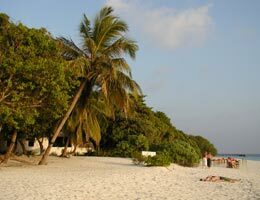 This is the most blissful island. 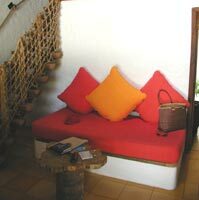 All rooms and villas are built in Robinson Crusoe style with driftwood furniture and garden showers. We had a little garden leading to the beach. 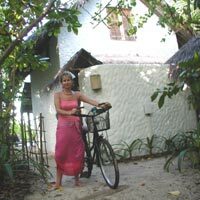 Although the resort only has 70 rooms, the island is the largest given to tourism and you get around by bicycle. 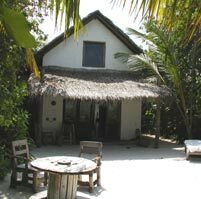 Our villa is just down the beach from the bar and restaurant and the jetty, convenient for diving trips. 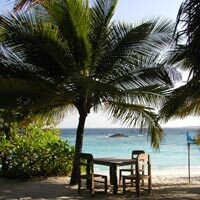 On the other side of the island is sunset beach, where we enjoyed sun-downers and ate at a table on the beach at the smarter of the two restaurants. Soneva Fushi has a managers' cocktail party with a difference. 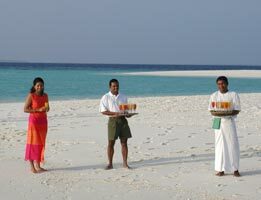 We are all shipped by Dhoni to a nearby sand spit where staff await with trays of champagne! After a few glasses we are brave enough to chat to the resident celebs. 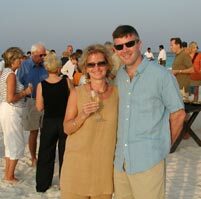 Vicky has not met John Bennett since her days at Heinemann but we find him here on a desert island enjoying life with wife Ali.